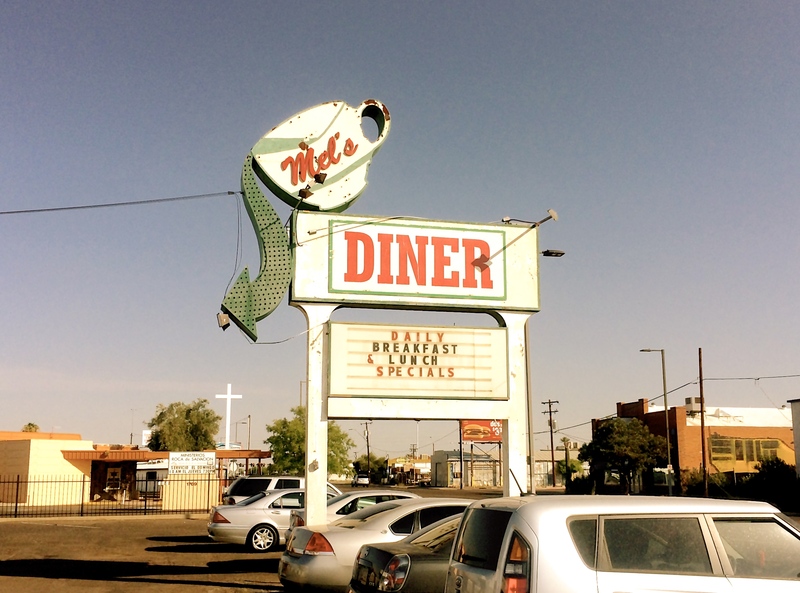 This nostalgic diner off of Grand Avenue in Phoenix claims to be the actual filming location of the old 70’s show Alice. This actually isn’t the case, but the sign (built in the 60’s for Lester’s Diner) was in the show’s opening credits. 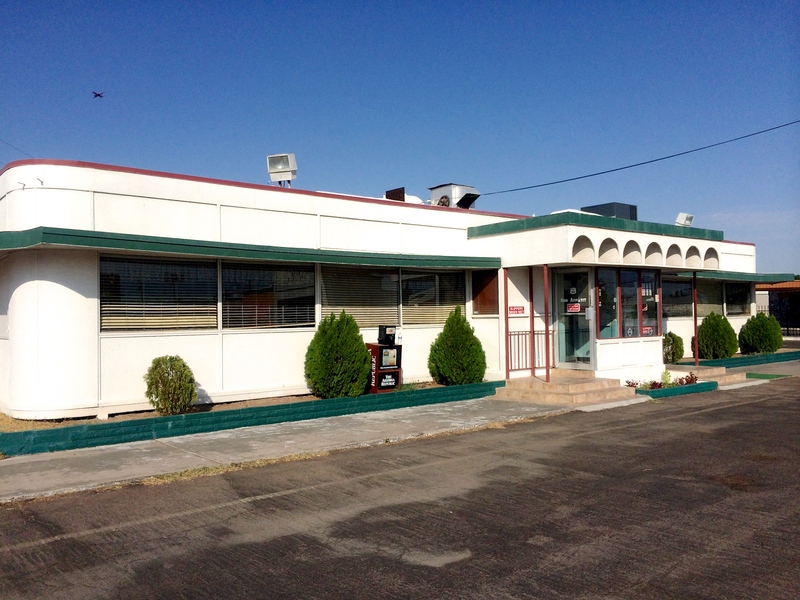 Lester’s Diner went through several name changes over the years until becoming the name of the iconic show. I’m actually a big fan of old breakfast diners and thought I’d make a stop in. Even though the staff was pretty friendly, I did notice a bit of an odor coming from the restaurant when I walked in. It was hard to ignore and made my dining experience uneventful. 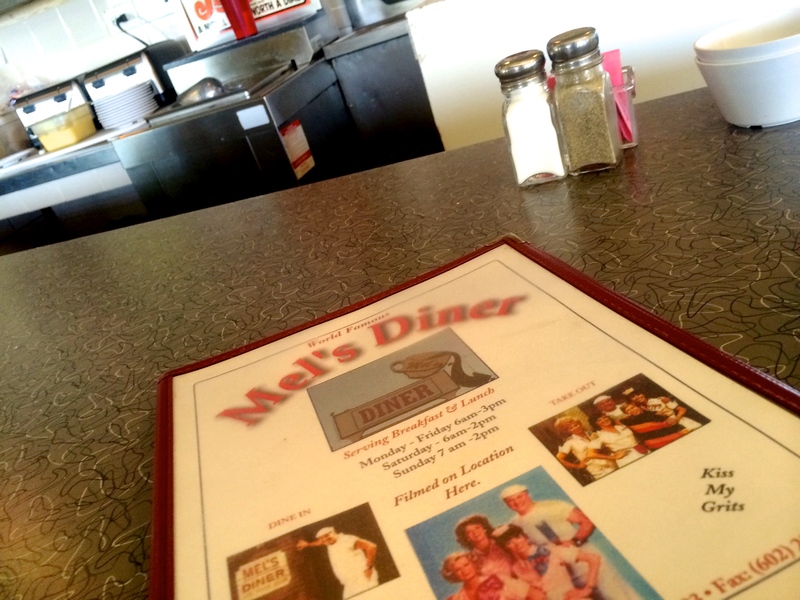 Mel’s serves a classic diner fare that consists of burgers, eggs and pancakes. I went with the Southern Breakfast. 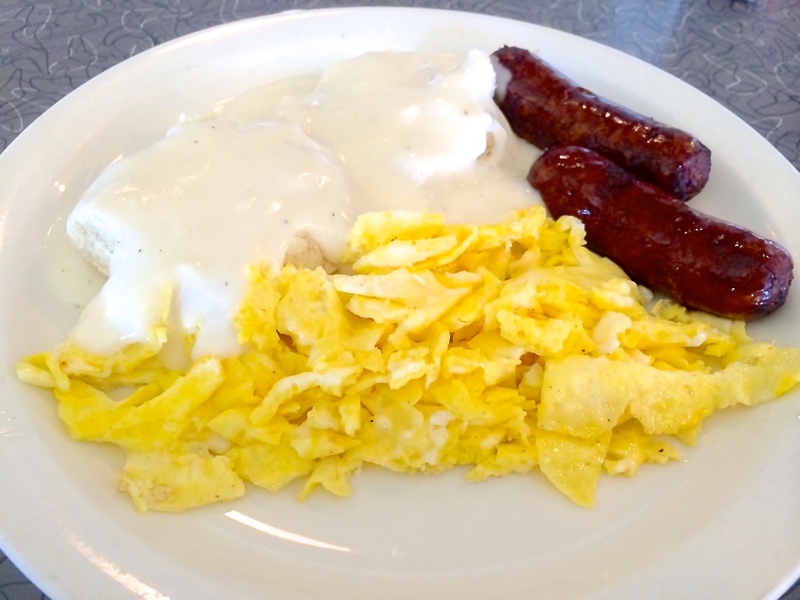 I enjoyed the sausage, but the biscuits and gravy were a little bland. Overall it was a fun throwback day to stop in, but not an experience to write home about. This entry was posted in Breakfast Food and tagged Alice, Alice Doesn’t Live Here Anymore, biscuit and gravy, breakfast diner, coffee mug, Diner, Downtown Phoenix, eggs, Grand Avenue, Kiss my grits, Lester's Diner, Mel's Diner, nostalgic, odor, restaurant, sign, smelly, Southern Breakfast, tv show, Zomato by ttimmons. Bookmark the permalink.